Khadi and Village Industries Commission (KVIC) orgainsed a awareness camp under Prime Minister’s Employment Generation Programme (PMEGP) at Karanwara and Baddhu villages of Bilawar Area.During the camp Dy. 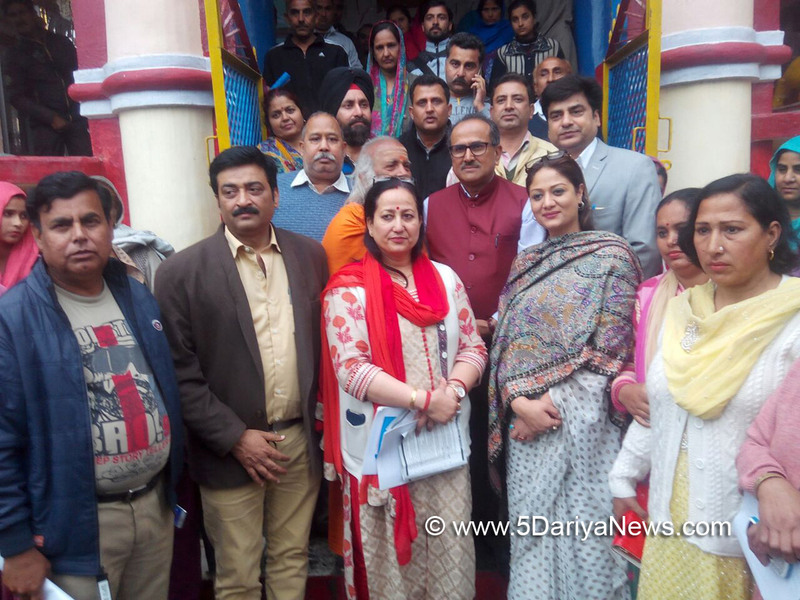 Chief Minister Dr. Nirmal Singh, KVIC (NZ) Chairperson Dr. Hina Shafi Bhat, KVIC Assistant Director Anil Kumar Sharma, KVIC state Member Rajesh Bakhshi, BJP’s Coordination Committee State President Mamta Singh and many others were present during the Camp.Programme was organised with the aim to aware general public about the schemes of Khadi and Village Industries Commission with special focus and benefits under PMEGP scheme.The programme was presided over by Dr. Hina Shafi Bhat.Hina emphasised on Women Empowerment and said that Government of India has already started many schemes for Women Empowerment. KVIC is also giving special focus on Women Empowerment. She impressed upon the artisans to take the benefits of the schemes of KVIC and establish their unit to create employment for themselves and generate employment to other co workers.Dr. Hina said PMEGP is one of the successful schemes implemented by the Government of India (GOI). Many unemployed youth with the help of the said scheme have established their unit and earn profit.During the programme, Anil Kumar Sharma highlighted the silent feature of the PMEGP and other schemes available with KVIC.The programme was attended by Sarpanchs, Panchs of Bilawarah, prominent citizens, artisans, un-employed youth, representatives of KVIC.